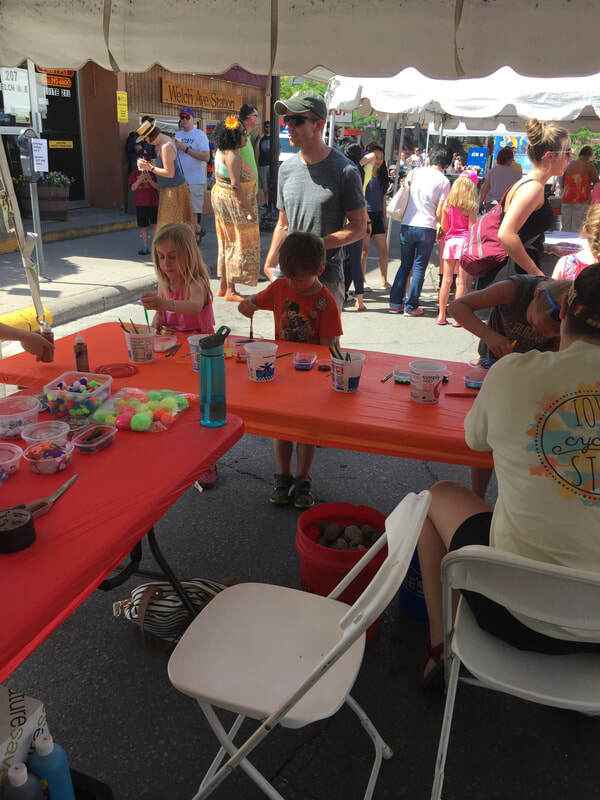 Art Activities, Classes & More! Check this space to see when and where we will be providing art activities for all ages! Let us know if you'd like an activity at your next event! At the Arts Council, we believe art is for everyone. We can often be found at local community gatherings offering free art activities for kids of all ages. Creating is fun and good for you! We hope you stop by and make something with us. If your organization is planning a community gathering and you would like the Arts Council to participate please contact us. See an artist at work! Watch for artist demonstrations during community events. This is a great chance to see how art work is made and ask lots of questions. 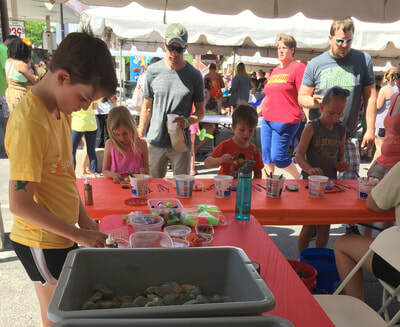 In the spring of 2017 the Ames Community Arts Council received a small grant from the City of Ames Commission on the Arts (COTA) to launch the Creative Professional Practice Series. This series of workshops and lectures, presented by local and regional experts, is intended to address a myriad of topics of interest to professional artists and arts enthusiasts. The Ames Community Arts Council is hosting a marketing workshop “Polish Your Pitch” on Thursday, August 30 from 4 - 6 p.m. at the Octagon Center for the Arts [427 Douglas Ave., Ames]. This event will be a panel discussion, moderated by Michael Moran, Communications Manager, Iowa Department of Cultural Affairs. How do you attract attention for your arts project or get the public to attend your event? Our panel of media and marketing experts, including reporters from local newspaper and radio, as well as individuals with years of experience promoting events in Ames, will offer tips on how to effectively communicate the value of your work. Learn how to navigate the world of press releases, social media, and event promotion in a way that stands out in a crowd. This workshop is intended to be an opportunity to share ideas and participate in a discussion. Local panelists will be Holly Boman (Director of Marketing, Iowa State Center), Carole Horowitz (Community Arts Activist & Host, KHOI Previews the Arts), Ronna Lawless (Staff Writer, Ames Tribune), and Stanley Rabe (Board Member, ACTORS). The event is free for Ames Community Arts Council members and $10 for non-members, payable at the door. Light refreshments will be provided. This workshop is a part of the Ames Community Arts Council’s Creative Professional Practice Series and is made possible with the support of the City of Ames Commission on the Arts. If you would like more information the series, please contact the Ames Community Arts Council by calling 515-233-6110, e-mailing info@amesart.org, or visiting the website at www.amesart.org. Take me to the Community Calendar so I can check out more classes!